Endometriosis is a chronic condition that affects 6.3 million women in the United States, with symptoms ranging from mildly annoying to severely debilitating. 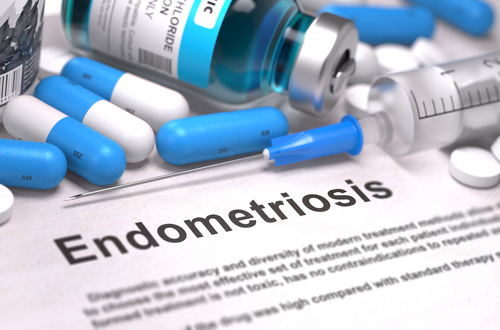 If you’re experiencing excessive menstrual pain or bleeding, or you’re having fertility problems, make an appointment with Dr. Khadra M. Osman, gynecologist at Fort Lauderdale Women Care in Fort Lauderdale, Florida, to determine whether endometriosis might be the cause of your problem. Endometriosis is a chronic condition where the lining of your uterus, your endometrium, grows on the outside of your uterus rather than on the inside. This misplaced tissue can also grow over your fallopian tubes, ovaries, and neighboring ligaments. Once you’ve entered your childbearing years, your body prepares a new endometrium every month in anticipation of receiving a fertilized egg. When an egg doesn’t arrive, the lining of your uterus will shed itself out through your uterus and cervix, which is what creates your period. Less common symptoms include constipation or diarrhea and nausea. There’s no magic bullet when it comes to treating endometriosis, and many of the treatment options will prevent pregnancy, either temporarily or permanently. If your goal is to have children, your options will be limited, but there are several procedures available that may help. When deciding upon treatment, either Dr. Osman or Dr. Sanches discuss your goals with you to come up with a solution that best fits your needs.